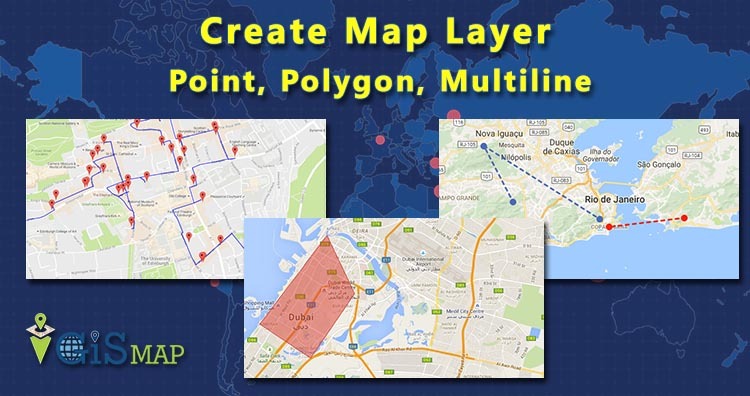 Hey GIS enthusiast using IGIS Map Tool you can easily create map layer – point, polygon, multiline and multipolygon. 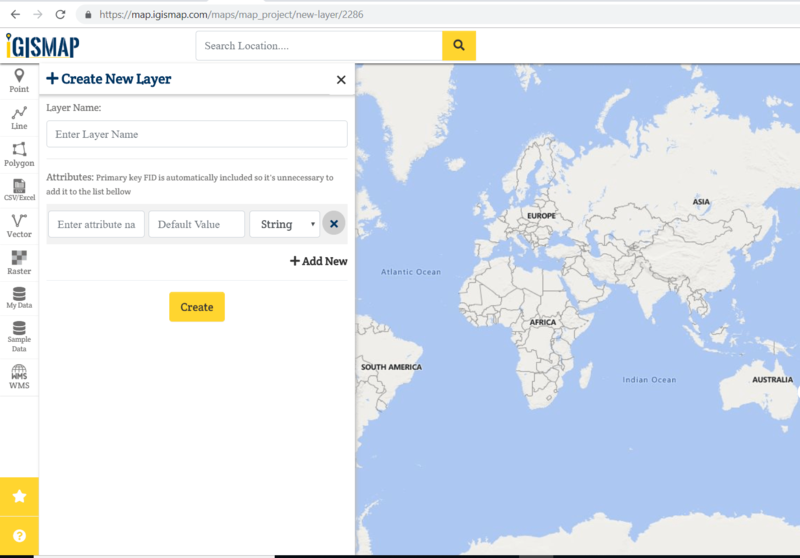 After creating Layer you can export layer in any format like Shapfile, KML, KMZ, Geojson and more. 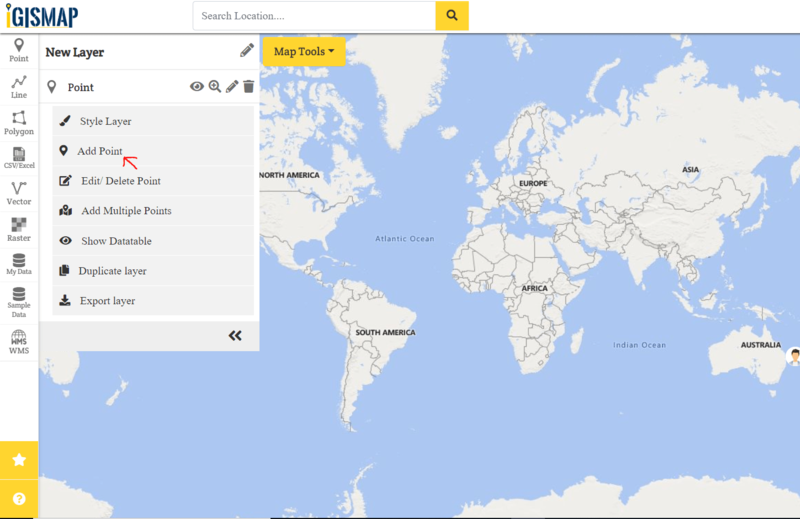 Go to IGIS Map Tool, Login or Register on the tool. 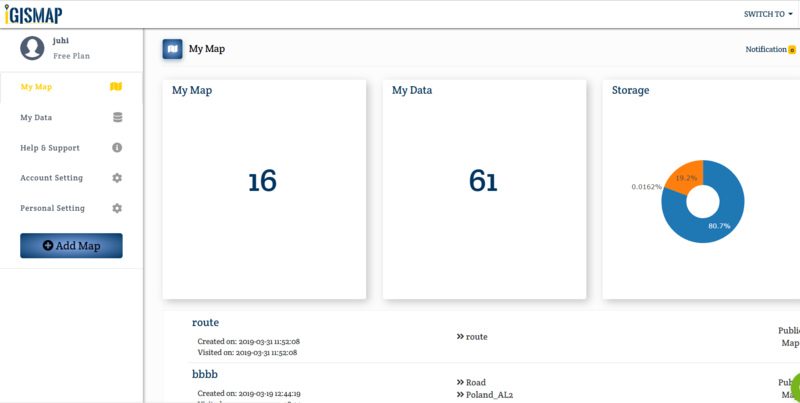 After Login you will be directed to the next screen i.e Dashboard where, click on Add map. Now fill the tittle and description of map. 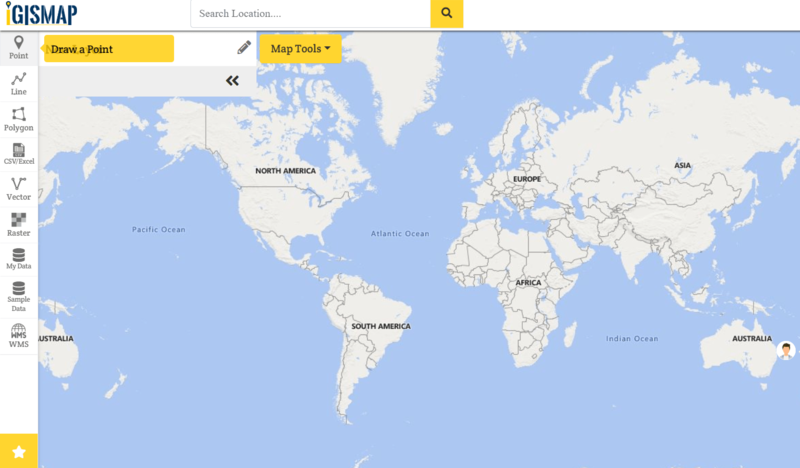 Click on Save Map. 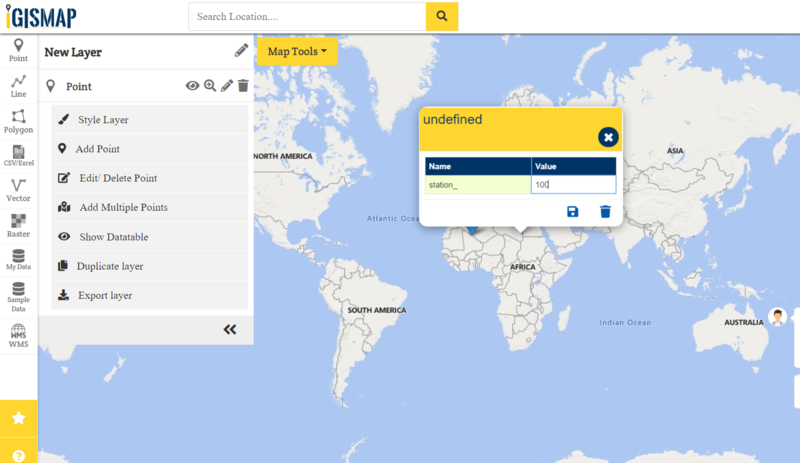 You will be directed to the canvas of IGIS Map Tool. Now choose the type of geometry of the layer you want to create. For Point select point from left hand side button. What is Point, Line and Polygon ? Suppose we selected Point button then fill the layer name and enter the attributes. After filling all the fields click on create. 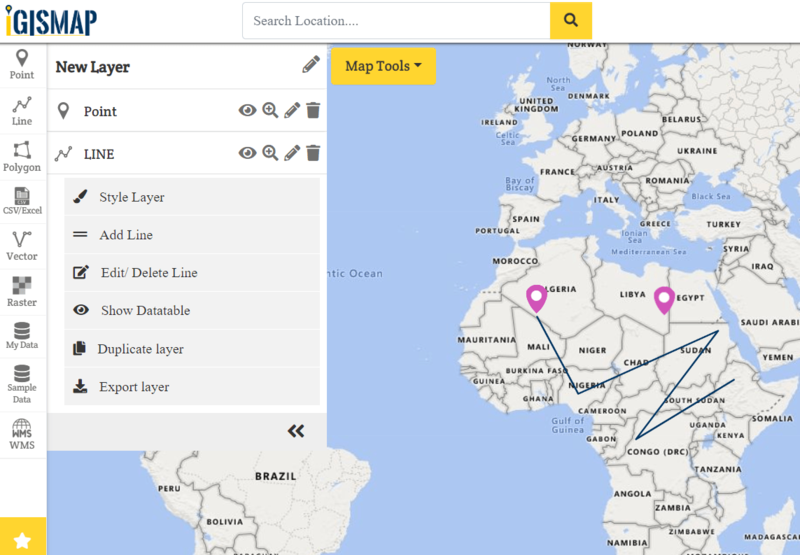 In a map you can select multiple layer. 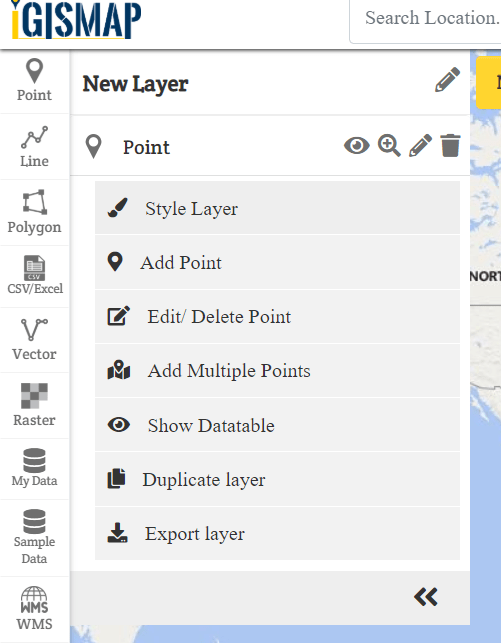 Select add point and go to base map where you want to create point layer. Save the points on the map. 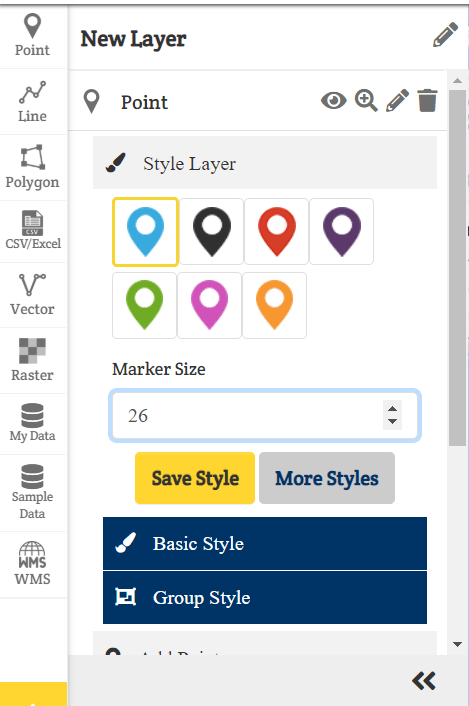 We can Add, Delete, Duplicate, View Data table, and Export layer. We can do styling of layer like change the colour of icon and increase or decrease the size of point or you can custom the icon. Same as to be done for line and polygon. This is all about creating map layer. If you face problem in implementing this above steps please do comment below.